Finding the best treadmill for your budget can be a chore. 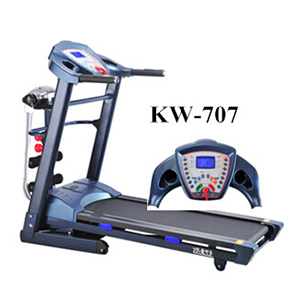 You must know what you are looking for to get the best buy in a treadmill. Studies have shown that people get more out of a treadmill than other fitness equipment because it is natural to walk or run. So you are more apt to stick with it for longer each session and keep using the equipment itself. The motor matters as it gets the heaviest workout. The horsepower (HP) ratings can be confusing. The figure you want to look at is the "continuous duty rating" and shop for 1.5 to 2.5 HP "continuous duty." The "peak duty" rating is less valuable. The "treadmill duty" rating falls between continuous and peak. Look for the longest warranty on the motor -- 1 year at least. DC (direct current) motors are quieter. Test treadmills wearing your workout shoes and clothes. A shaky or jerky ride is unacceptable. The hand rails should feel sturdy enough to support you and be in a good position to grip easily and not block your arm motion. The belt must be wide enough and long enough for your stride. Boredom kills treadmill workouts. 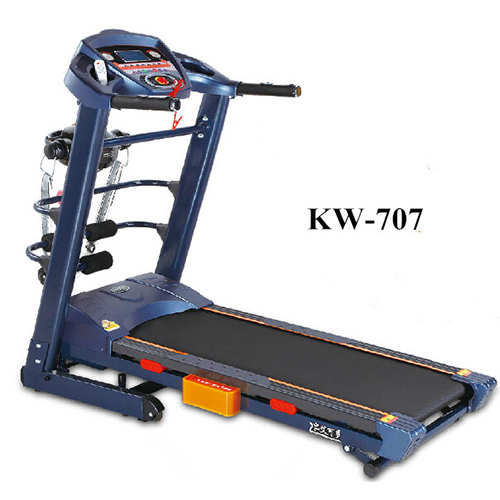 Choose a model that has the most pre-set and programmable workouts to vary pace and incline. The incline and speed should be easily adjustable from the console. A pulse monitor is good. A water bottle holder and book rack are essential for me. Some models plug into a video or audio player or the internet for new workouts. Books or videos can get you going in the right direction. •All product is high quality, Different colors for options. •The product rames are designed to be trouble free and are produced to exactingstandards. •We have QC persons in every department, to ensure all components meet thequality demand.